Size :18.4 x 20.3 mm. Weight : 1.30 grams. Grade : VF with a minor flan crack. 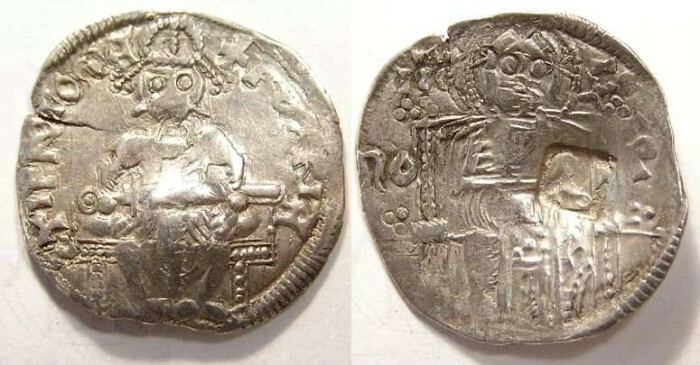 Obverse : Stefan seated holding a sword, with REX RIA ST IP ROIMA around. Reverse : Christ enthoned, with IC XC to the sides of his head. There is a countermark reverse that contains a design that looks like a small ladle.